This game brings you back in the 1980 time and is inspired by games like Missile Command, Time Raider and others. You have to defend the last cities on planet earth from countless waves of the aliens. 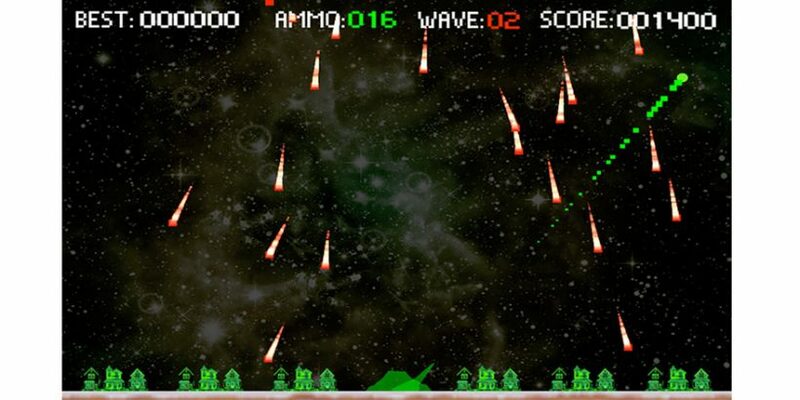 Tap the screen near the path of the desired location to fire your missile. You have only 6 cities to defend and if you lose it all your journey ends. Nothing to learn – tap, bomb, done!